Published by The Conversation. View original article. The latest review of Australia’s energy-saving appliance scheme has delivered a rare trifecta: a good news story for the economy, the community and the environment. According to my estimates from data in the Department of Industry review, the value of energy saved in Australia last year alone was around A$3.2 billion. Of this, some A$2.7 billion was saved by households. The Equipment Energy Efficiency (E3) program aims to reduce energy use by household and business appliances, through the use of energy labels and enforceable standards for energy use. This latest review found that in 2013, the E3 program reduced Australia’s greenhouse gas emissions by 13.5 million tonnes at a cost of minus A$119 per tonne: in other words, it saved money to cut emissions. Overall, the savings delivered by embracing efficient appliances were three times greater than the costs. The savings in energy use were equivalent to 7% of all Australian electricity consumption – a fact that certainly helps to explain therecent declines in electricity consumption. By 2030, the program is forecast to be saving 34.4 million tonnes of greenhouse gas emissions per year, at a cost of minus A$118 per tonne and a benefit/cost ratio of 4.6. That means for every A$1 we spend, we get A$4.60 of benefits back. Not a bad result for a program with little political commitment and a low public profile. Imagine what it could achieve if it was taken more seriously. An average Australian household saves about A$6 per week from appliance energy efficiency. When Australia’s carbon price was announced in 2011, Treasury modelling estimated that a A$23-per-tonne carbon price would cost households A$9.90 per week, of which energy and water was A$4.60. So even without the financial compensation given out by the government, the energy-efficiency program has offset more than 60% of the estimated impact of carbon pricing on households. What’s more, Treasury estimates suggest that moving from the fixed carbon price to a globally-linked trading scheme (assuming a carbon price of A$6 per tonne) would reduce household weekly carbon costs by A$7.30. On this basis, Australia’s appliance efficiency program would already more than offset the total cost impact of an ongoing emissions trading scheme, even if international carbon prices doubled. Of course, appliances have been growing more efficient all the time, but the savings estimated here are on top of the “business as usual” trend. Without the incentive provided by the program, households would be using more energy and paying higher bills. Since 1986, when the first energy labels began to appear on refrigerators, the program has provided a steady incentive for replacing inefficient appliances with better-performing ones. But given the huge savings and emissions cuts on offer, there is a strong case for a more aggressive program. The new report estimates that accelerating the program could deliver further net savings worth A$1.5 billion. But this is a very conservative figure, based on past studies that have consistently underestimated the benefits. The estimates of savings to date are also conservative, because they use 2000 as a baseline, despite the fact that the program has been around for much longer. Between 1986 and 2000, the average efficiency of new refrigerators purchased by Australian consumers improved by around 40%. Similarly, dishwashers became 23% more efficient between 1993 and 2000 – savings that are not captured in the report’s figures. Are there more savings to be made? There certainly are. One option is to expand efficiency programs to include a wider range of products. A typical ceiling fan, for example, uses about 80 watts, whereas the most efficient models use less than a quarter of this. 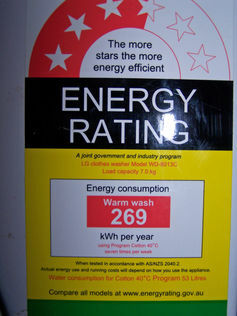 Energy labelling and minimum standards could drive large savings, especially in tropical areas. Stronger measures could be introduced sooner. For example, swimming pool filter pumps are large energy consumers, and the existing voluntary energy labelling scheme shows savings of up to 80%. But the present schedule will not see mandatory labels and minimum energy performance standards until 2017. 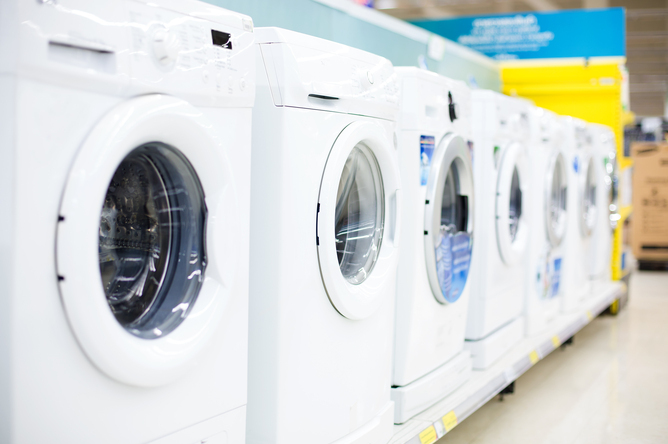 Replacing old, inefficient appliances offers big benefits. For example, many old refrigerators are faulty, and use up to eight times as much as a modern fridge, so replacing them brings disproportionately large savings. This could be encouraged by offering trade-ins for specific models, or offering home audits to identify appliances in need of replacement. The program could also be expanded to include funding the development of new energy-efficiency technologies. In a recent conference presentation to the Australian Alliance to Save Energy, I compared the energy performance of market-leading appliances against average ones. Replacing appliances with the best ones on the market can deliver power savings of 30-80%. Then there is the potential to improve performance through the use of “smart” technology and design, such as load-sensing motors in washing machines. You can then take that further by encouraging changes in user behaviour, such as buying low-temperature detergents, cutting down on household bills and power use for hot water. My research suggests that for most appliances there seems to be potential to improve effiency by another 30-60% beyond the current best available performance. Australia’s appliance energy efficiency program (which New Zealand also joined a few years ago) has already cost-effectively cut greenhouse gas emissions, helped to reduce peak energy demand, reduced energy bills, and offset much of the cost associated with Australia’s fixed carbon price. If, rather than scrapping carbon pricing, Australia were to shift to a globally-linked emissions trading scheme, carbon costs would be significantly reduced and the benefits from appliance efficiency would outweigh household carbon costs. That would effectively give us a climate policy that actually makes money. Expanding and strengthening our energy efficiency program would deliver even more savings for Australian households, businesses and for the environment. But that’s if our government chooses to act. 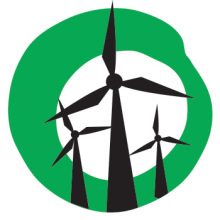 Reblogged this on Yes 2 Renewables.